Well, this filled me with sadness. She had a few laughs. Congrats on the Emmy and other awards! I feel a special affinity for Pancho because I grew up in San Marino and stil live in the area, and I lived in the Antelope Valley for a few years, and my uncle was at Muroc for a while after he came back from WW II. The DVD by the way, contains an extended version of the film that was not shown on TV due to racy content and some mildly foul language. This version was shown in film festivals and garnered a number of awards including “Best Documentary Film” at the L.A. Women’s Film Festival. The broadcast version of the film just won the 2010 L.A. Area Emmy Award. I’ve seen it and thought it was great. 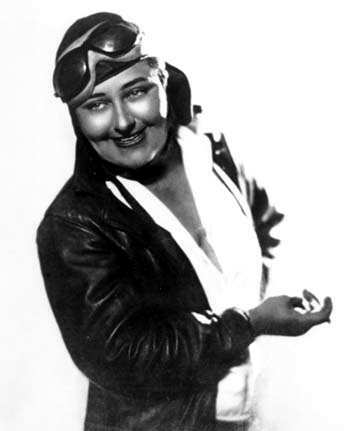 See the documentary “The Legend of Pancho Barnes”, all about this amazing woman and her flying career, now on PBS stations nationally. I am sure this was me in a ‘past life’! Love it. Wow!!!! An amazing woman. Thanks for sharing.